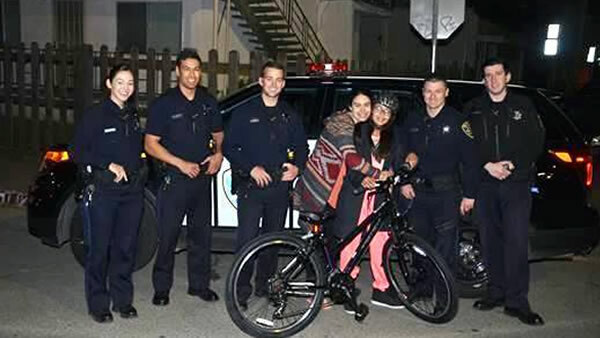 OAKLAND, Calif. (KGO) -- Oakland police officers pitched in and bought a new bicycle for an 11-year-old girl after her father was arrested for domestic violence. Police arrested her father five years ago in a domestic violence incident where he allegedly stabbed his wife. He was released last week and arrested again for allegedly threatening his wife and daughter with a knife. Officers wanted to do something positive for the girl after what happened, so they delivered the bike Monday night and she was pretty happy. Police said the bike doesn't solve everything, but it shows her and her mom kindness exists.